On the side of the R&M carryout. 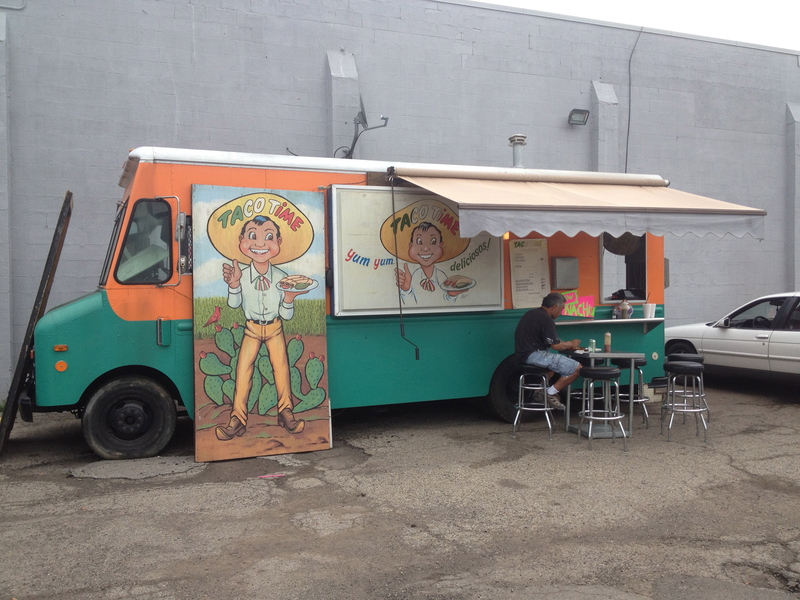 Taco Time has bounced around town for a few months; we’d previously heard sightings of them at Polaris and on Shrock road. This is the first time we’ve caught up with them and we’re glad we did. 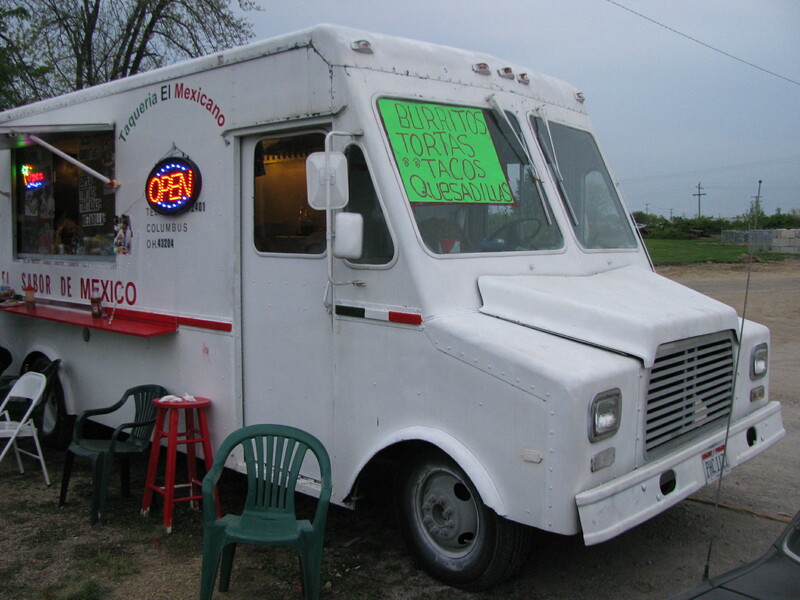 The truck is run by a friendly family (from Durango and Mexico City) and the food is solid. Their daughter was taking orders during our visit and there was no need for any Spanish to communicate. 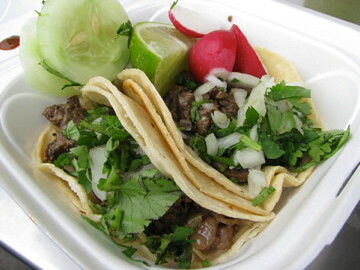 As usual at a new truck we started off with some tacos. We tried buche (pork stomach), lengua (cow tongue) and asada. The meats were all well cooked, tender juicy lengua and crispy (and relatively mild seeming) buche. 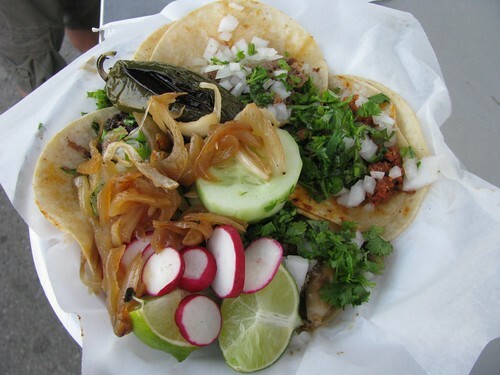 The tacos came with a pile of grilled onions and a grilled jalapeno. The house green salsa, tomatillo based, was spicier than most. The menu also featured gringas (small and large). We tried a small al pastor version. The al pastor was cooked on the plancha and topped with a slice of grilled pineapple. It was no match for the spit roasted al pastor we’ve gotten used to from Los Guachos, but it was very pretty and enjoyable nonetheless. Taco Time also had tamales. We sampled a red tamale which was good. 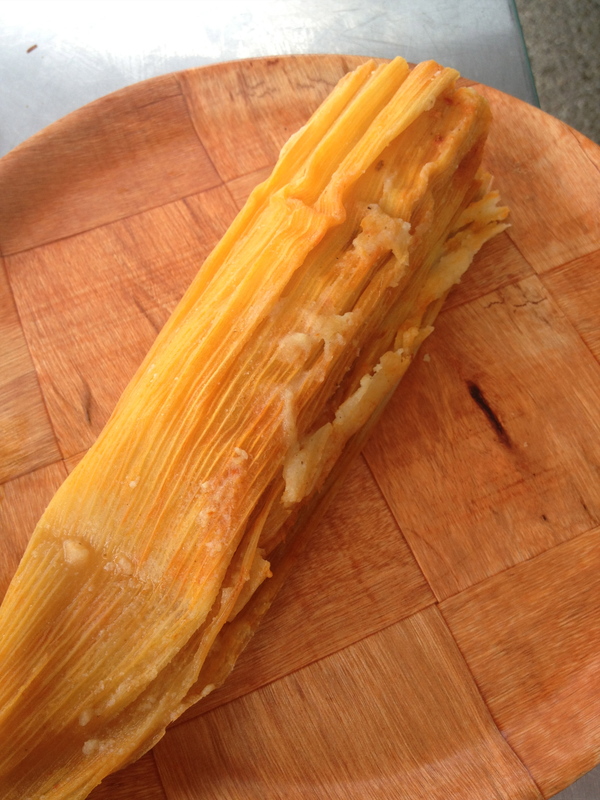 Tamales are harder to find, especially in the summer so it was a nice surprise. The menu is rounded out by tortas and burritos. 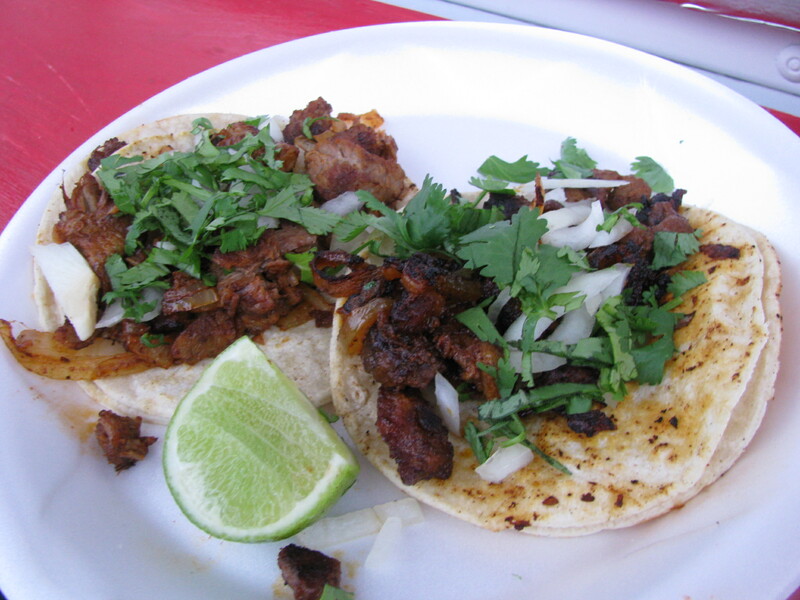 At the weekend Taco Time offers carnitas and menudo and we heard good reviews of the carnitas. The highlight of our visit was their homemade pina (pineapple) agua fresca. Not overly sweet, very cold and really refreshing, it definitely hit the spot on a hot summer day. 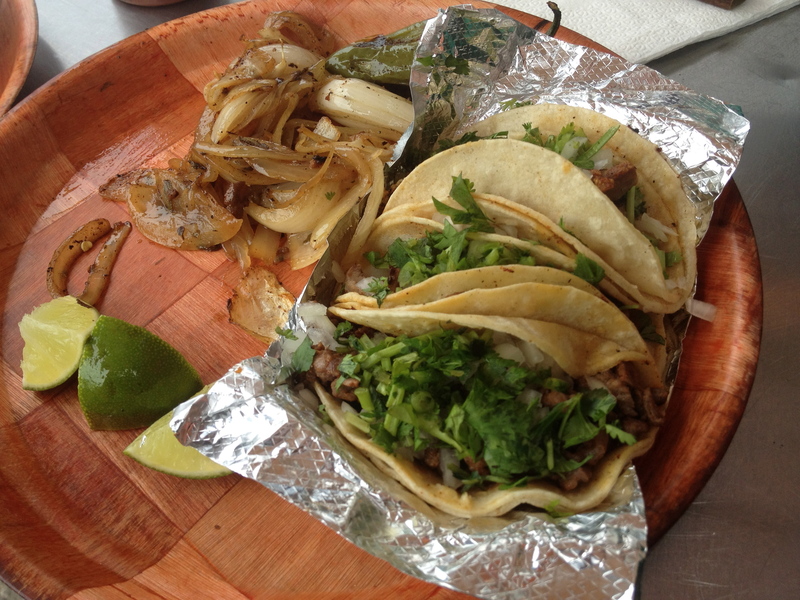 We discovered Taqueria Mexicano thanks to a tip off from one of our twitter followers. It (was) further north than the other west side trucks and its located in a somewhat deserted spot on Fisher Road (and has now moved to Karl & 161). ((And may have moved again…check the comments section)). 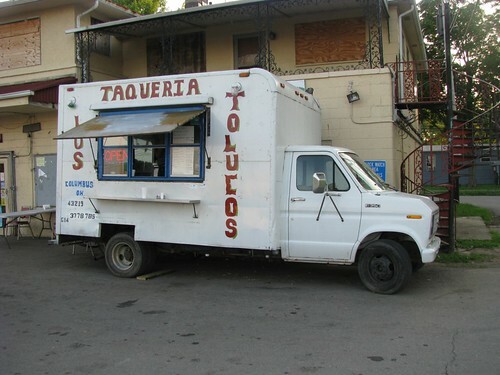 The owners are friendly and offer the standard range of taco truck fare: tacos, burritos, quesadilas, tortas. Meats available were carnitas, al pastor, asada, barbacoa and pollo. 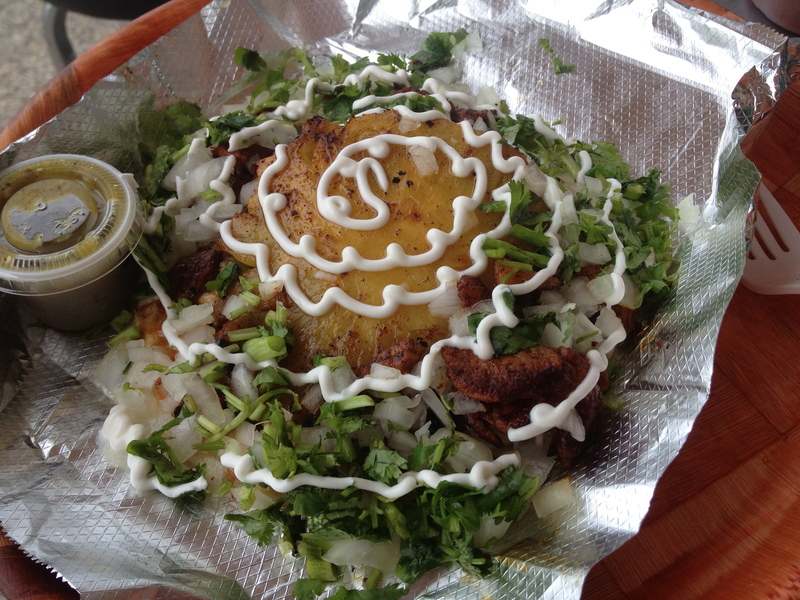 Our favorite was the al pastor. Tacos were generously filled and the meat was well seasoned with some onions and tomato. 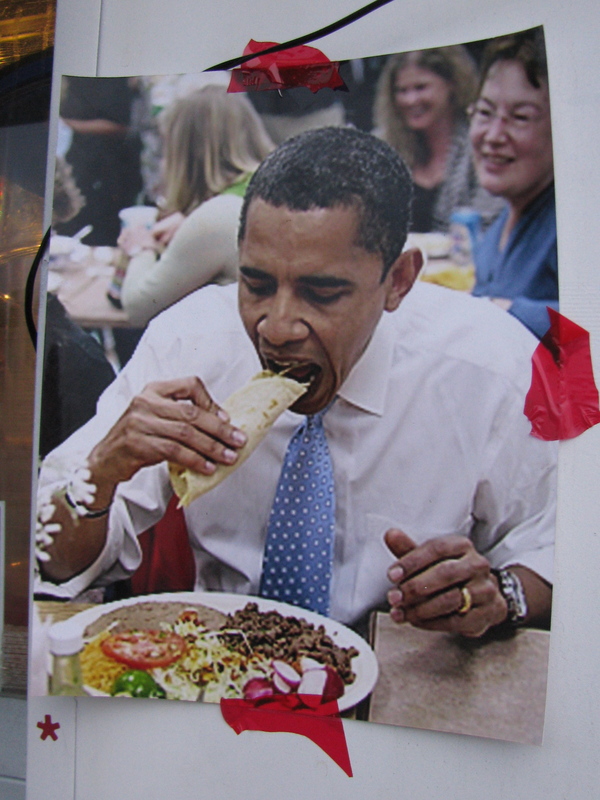 The truck is decorated with pictures of President Obama chowing down on some tacos! The owners were making a batch of fresh gordita shells while we were there and it was fun watching them press them out, and cook them on large batches on the grill. Taqueria Mexicano also had a large jar of aqua fresca as well as the usual offerings of Jarritos and water. Fresh from its stint on the west side, Los Tolucos has been reopened by new owners at a location close to the airport. To be frank, they didn’t seem to be off to the most promising of starts. Service was slow and disinterested, and the food was mediocre on average. There were a few bright spots, though: the cabeza tacos were above the bar, and the grilled onions and pepper made for a nice addition to the tacos. Taqueria Little Mexico is reputed to be Columbus’s first taco truck and it therefore seemed an appropriate choice as the starting point for our first taco truck tour. 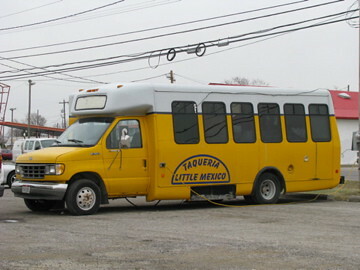 Little Mexico is a well established truck with a standard offering, they specialize in the basics and execute them very well. The owners are friendly and the food is extremely good value. 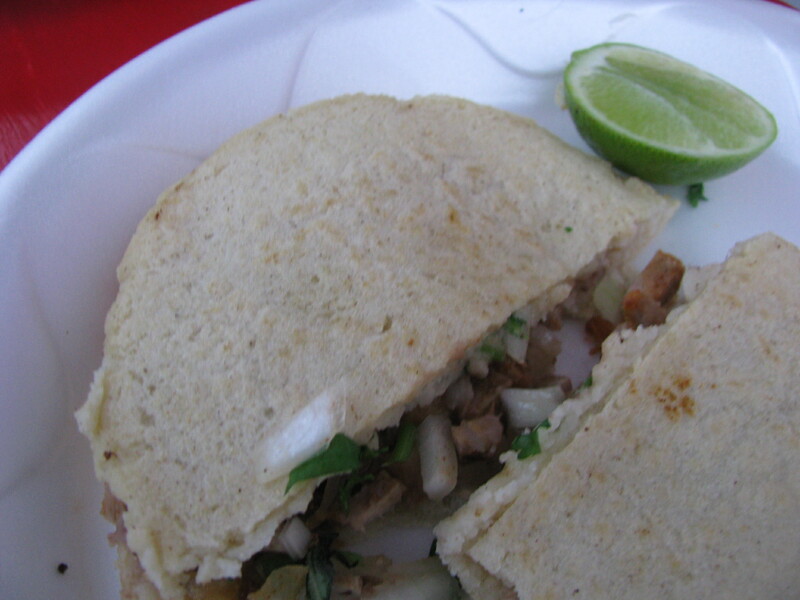 Our favorite items include the gorditas which are among the best in Columbus (we usually get carne asada) and the melon agua fresca, which was a big hit on the tour. They also have good horchata and a good selection of meats. Here the owner shows off his homemade gordita shells.